Turns 1-person Stealth Boat into a 2-person boat. 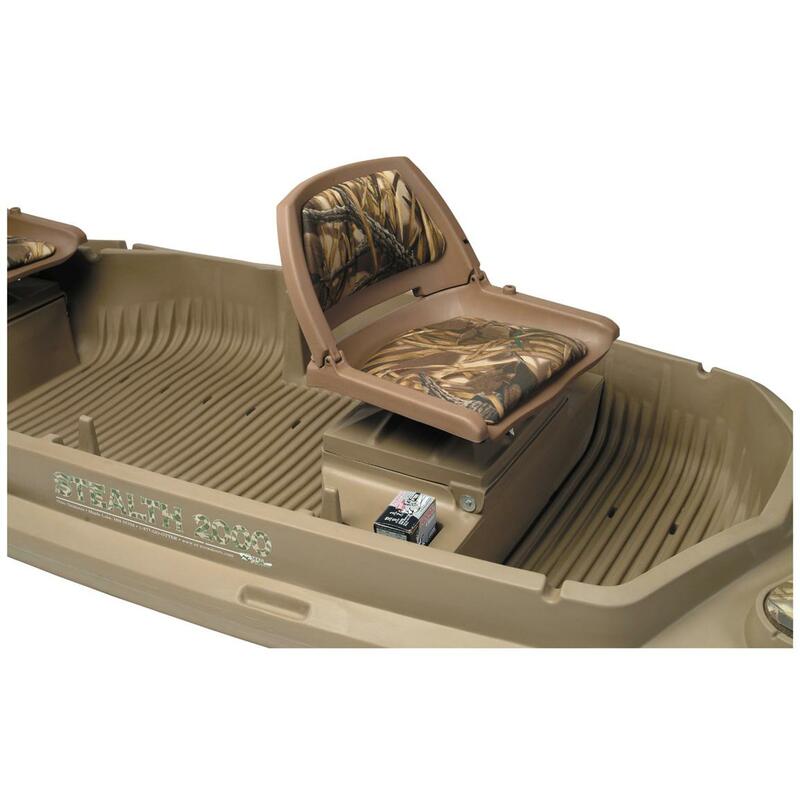 Extra Seat for Beavertail® Stealth 2000 Sneak Boat. Turn your one-person Stealth 2000 Sneak Boat into a 2-person boat in mere minutes. Seat is 360° swiveling, with cushioned seat and folding backrest. Convenient installation, locks into the existing mounting grooves on the Stealth 2000's floor. Plastic base features molded-in cup holder and small storage. Underseat storage box is large enough to accommodate a deep-cycle battery, or use it for dry storage. Extra Seat for Beavertail Stealth 2000 Sneak Boat is rated 5.0 out of 5 by 2. Rated 5 out of 5 by J A L from Great service The product is Great as well as the service in receiving it ! Rated 5 out of 5 by ed o from GOOD PRODUCT This is a must if you are going to have someone else in your boat, easy to put in and pull out, quality is good, very comfortable. I would highly recommend you purchasing this for your sneak boat.